Do you want to change? If so, you’ve reached the right place! My use of Clinical Hypnosis means I can also help clients take control of a range of physical conditions – particularly auto-immune disorders, such as CFS/ME, and chronic pain. The list above is not exhaustive, so do ring or contact me if you want to discuss any other conditions, and we can then start to change your life for the better. Rhondda Osteopathic and Sports Clinic, Primrose Hill, Ystrad, Rhondda Cynon Taff, CF41 7PZ. Jo Malseed Hypnotherapy is supported by a grant from the Pen y Cymoedd Wind Farm Community Fund. 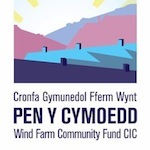 The Fund has been established by energy company Vattenfall for the benefit of the communities hosting the Pen y Cymoedd Wind Farm.